Today was the last of our spring training classes and we celebrated by getting dogs in the water. 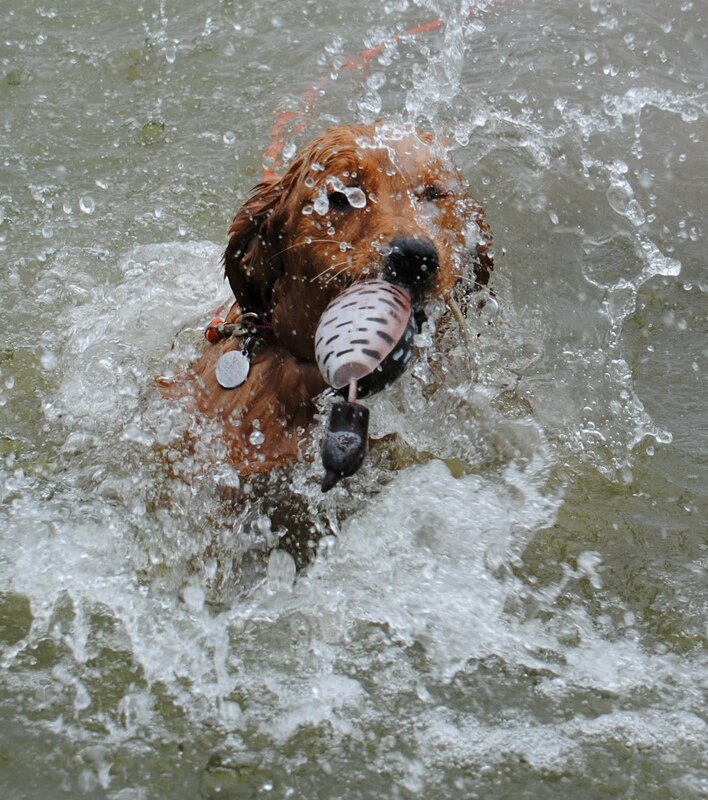 You'll see Dave and Jocelyn's Lexi's first swim and water retrieve. It was a bit rainy out, but certainly warm enough for water training and all the dogs had a great time.